Become your favourite footballing hero Lionel Messi! 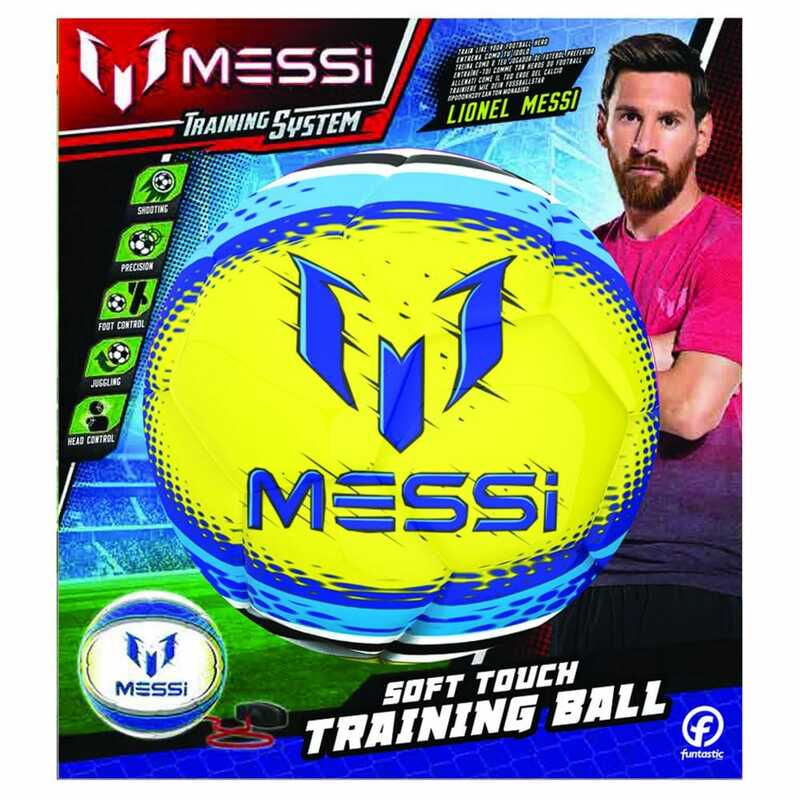 Now you can practice doing keepie uppies, flicks, tricks and ball control using the official Lionel Messi Soft Touch Training Ball. Use the easy grip handle to hold onto the cord when practising and adjust the height of the string to suit you or detach the cord to use as a regular size 2 football.